History of Day 4 of $8, 00,000 Indonesian Open Superseries played in Jakarta repeated itself. 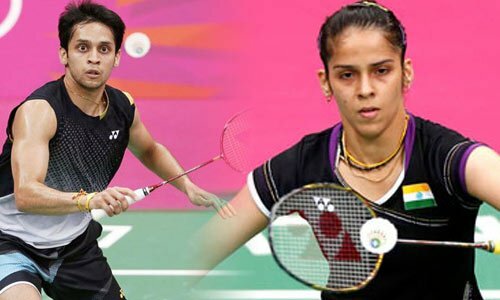 The history which brought smiles to World no-12, Indian Parupalli Kashyap fans when he defeated World no-1 Chen Long of China in quarterfinals of BCA Indonesian Open Superseries and which came as disappointment to World no-3, Saina Nehwal fans when she lost in quarters to World no-7, Wang Shixian of China in the quarterfinals. Going 1-7 record in the quarters against the reigning World Champion, Chen Long every expert had written Parupalli Kashyap off, especially after the kind of ravaging form of the Chinese, this year. Chen long has not lost any match this year except a walkover in Singapore Open. With form, facts & experts in his favor, the top seeded Chinese was favorite to win the match & tournament. But the Commonwealth Champion, had 1 fact in history on his side as his sole win against the Chinese, came in 2012, in the same open. The Indian started on a good note taking a 11-9 lead going into mid-game break, but Chinese came back strongly to take 7 point on a trot to take the 1st set 21-14. Second set also saw the similar story with Kashyap going into mid game break with score of 11-7. The Chinese again tried to claw his way back in the match & narrowed the lead to a single point. Kashyap did not allow the come back & wrapped the 2nd set 21-17. Kashyap raised his game a notch higher & raced away to victory by closing the match with the scoreline of 21-14. With this, he handed Chinese his 1st defeat in 23 matches, repeated history and also his 2012 performance of Indonesian Open. Tomorrow he faces World no-9 Kento Momota of Japan in the semifinal match, they last met in 2013, the Chinese Open Superseries where the Japanese player defeated Kashyap. Losing her top spot in yesterday’s rankings to Li Xuerui of China & slipping to 3rd position, Saina would’ve liked to perform well here to gain some ranking points. But it was double disappointment for her as she yet again lost to Wang Shixian of China with similar storyline. History came crashing down on her as she again lost in the quarterfinal round like last year. Similarly, she lost to Wang Shixian in the quarterfinals round in Australian Open, a week ago, as well. Saina started the 1st set with an aggressive approach & her shots were targeting Wang’s body. The Chinese player didn’t looked comfortable & Saina took the 1st set 21-16. Saina applied the same strategy in the 2nd set but this time Wang was ready & outclassed Saina to take the 2nd set 21-12. 3rd set saw great badminton skills by both the players & at 15- 10, Saina was looking to close the match but Chinese responded strongly to level scores 15-15. Then Saina made some unforced errors on crucial points & the 5th seeded Chinese took the final set with score reading of 21-18. She repeated her Australian Open match performance against Saina & now she has 7-6 record against the Indian. In tomorrow’s semifinal she’s up against World no-6 Ratchanok Intanon of Thailand.